If you’re going to make a film on a subject as dear to the hearts of Singaporeans as National Service (NS), then you jolly well make sure that you do it right. 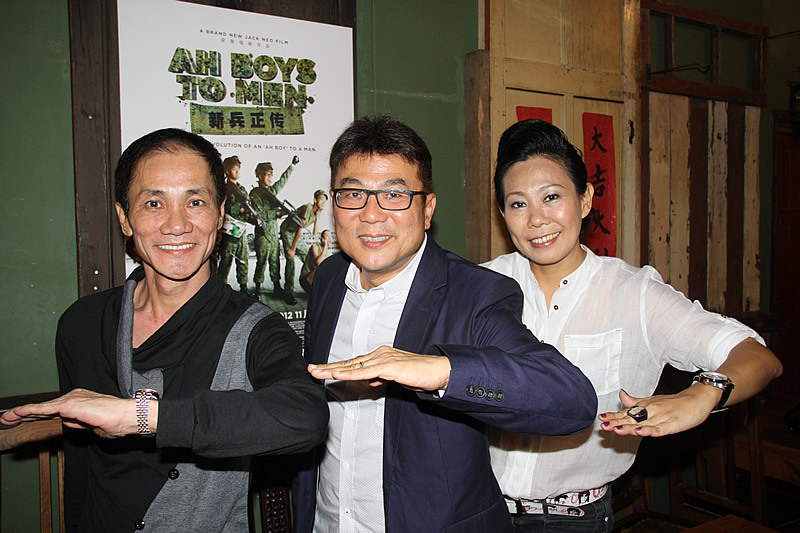 Over and above the publicity bluster for his new movie ‘Ah Boys to Men’, it’s apparent that director and co-writer Jack Neo was clearly aware of this right from the start. Speaking to the press on the eve of the film’s release, Jack explained what that meant for him. For starters, it meant that the perfectionist had to be even more demanding than usual. Take for instance the scenes where NS in the 1970s was portrayed; according to Jack, the hardest part about filming these scenes was getting the details, such as the uniform, helmet and Standard Battle Order (or SBO) correct. “The old designs are defunct by now, and Mindef did not have a store of spares, so we literally went hunting from place to place for these props,” he said. To get the helmets, Jack and his team went down to a shop in Arab Street, which turned out to have 50 of these for sale, as they were sold to people in Malaysia for safety reasons when picking durians. Then for the SBOs, Jack sent his people down to every shop in Beach Road, and finally found one with the last batch of the old designs. And what better way to do so than to show what it would be like if our country was attacked, so Jack set out to do just that – even though the result of that ambition was a particularly painstaking and costly one. To get the fifteen minutes worth of footage of our national icons and HDB heartlands under attack cost Jack to run about ten to twenty percent over-budget, and he shares that he might not even have much of a salary to speak of at the end of production. So with plenty of extras and literally an army of production crew, Jack spent one day setting up and shooting the scenes of carnage and destruction if enemies were to descend on our prime business district – with his crew working through the night after the shoot to clear away the fake debris and ash scattered all round to create the effect of war. The undertaking was unprecedented and quite mammoth going by Jack’s description, but what is clear is Jack’s ambition for the movie. But making “Ah Boys to Men” was not meant to be a propagandistic exercise for him on behalf of Mindef – despite the fact that the Ministry had graciously lent him their weapons and opened the doors of Basic Military Training School in Pulau Tekong for filming. Another main reason was also personal, according to Jack, who wanted for the longest time to make a film about his own NS experiences that he was sure would be able to resonate with the larger Singaporean audience too. “For me, making the movie also allowed me to relive the memories from my army days,” he says. 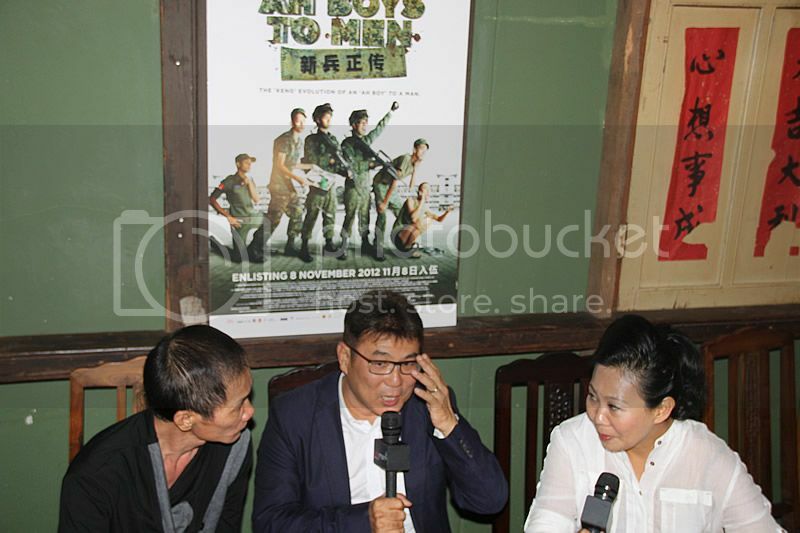 “And my wish is in fact to invite my old platoon mates to watch the movie.” With plenty of passion, ambition and dedication, it’s pretty apparent that Jack has his heart in the right place to make ‘Ah Boys to Men’ a movie that celebrates a uniquely Singaporean identity.